Ever since its launch in 2005, RedStar Poker has been targeting players from Eastern Europe with priority and especially Russian customers. It’s no surprise to see Russian included in the list of languages, alongside English and Argentinian Spanish. 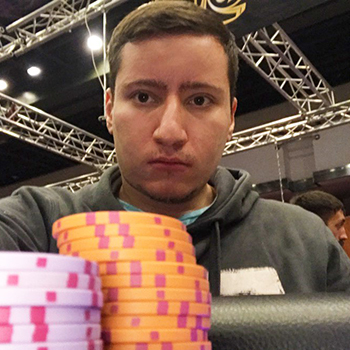 The South American country has been a success for Red Star Poker too. As for the MPN poker network, there’s a lot that can be said. It’s one of the most experienced in the industry and exists since 2004. Unlike other similar projects, MPN has been a rather consistent presence in the world of online poker. In fact, it’s one of the few networks that are not in a huge decline in the past year or two and Red Star Poker users can enjoy the advantages of MON. For example, fresh formats like Blaze Poker and Fish Party that complement the large number of traditional cash games, tournaments, and SNGs. There are also decent ways to earn extra value, including a solid RedStar rakeback opportunities. High limits: during the most action-packed hours at RedStar Poker, there are some tables running at €200 NL and €400 NL. You could even be able to play €1,000 NL every now and then, but it’s mostly Texas Hold’em. Most of the cash games at RedStar Poker are standard, but there are exceptions. For a start, probably a third of the tables are anonymous which means you won’t see the nicknames of your opponents and they won’t see yours. Another interesting twist is the so-called Blazed Poker format offered by Red Star Poker. It’s a fast-fold cash game where you can get rid of your hand and be moved to the next table instantly. The best thing about it is that you can earn a lot of RedStar rakeback, but you won’t find much action here outside of the peak hours and only the lower limits run regularly. If you’re more of a tournament player, RedStar Poker got you covered as well. There are plenty of guaranteed multi-table events that run on a daily, weekly, and monthly basis. The lowest buy-ins usually start around the €1 mark and go all the way up to €320 or so. A couple of examples of regular Red Star Poker tournaments are the two daily Avalons with a buy-in of €55 and a guaranteed prize pool of €2,000, the weekly Sunday Drive that costs €110 and you fight for at least €7,500, and the big monthly Masters. The latter has a guaranteed prize pool of €60,000 and a buy-in of €320 which makes it the biggest RedStar Poker tournament. SNG specialist won’t have issues finding some decent action too. The most attractive Red Star Poker option seems to be Fish Party. It’s an action-packed format for 3 people and the prize pool is determined randomly at the start. It could reach up to a couple of hundred times your buy-in. The lowest entry starts at €1 and the highest is for €50. Most of the action at RedStar Poker is at the €5 level. RedStar Poker uses the software of MPN which has been improved countless times through the years. The design is clean and the navigation is easy. On top of that, RedStar Poker allows multiple customization options which should help you find the best layout for your need. The good news is that RedStar Poker gives you the chances to skip the client download and play directly through your browser. This option also works on mobile devices such as iOS, Android, and Windows Phone. A lot of players would probably want to play a ton of tables and generate tons of RedStar Poker rakeback with the help of additional software like Holdem Manager and PokerTracker. You will be happy to understand that RedStar Poker accepts those. Still, you obviously can’t use a HUD on the anonymous tables of the poker room. Fish Party: the Fish Party tables of RedStar Poker will cost you about 6% of the buy-in which is quite low for such a format. The opportunities to earn RedStar Poker rakeback are crucial for your long-term success in the poker room. At the start, you can take full advantage of the 200% first deposit bonus of up to $2,000. You will clear it at a rate of $1 for each 50 Red Star Poker loyalty points earned and have 60 days to get as much cash as possible. Since 10 points cost $1 in rake, that’s essentially 20% rakeback. Where it really gets interesting is the Red Star Poker loyalty program. It has 4 different levels called Bronze, Silver, Gold, and Platinum. At the lowest level, you will receive 10% in RedStar Poker rakeback and this number goes all the way up to 30% if you reach the Platinum tier. This is not that hard and requires a couple of hundreds in rake each month. If you add the additional cash you can earn from various other Red Star Poker promotions, you could get some decent numbers in the long run. Playing in the room from PokerProDeals, you are able to get additional benefits in addition to the rakeback of the room. Contact us in order to get additional information. How to register in RedStar Poker?